I’ve written an article about Kitsune Udon before. 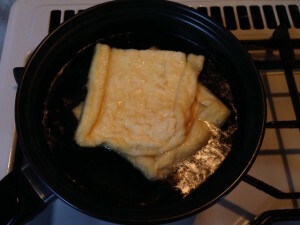 At that time, the theme of the article is about the name, and not about recipe. I was surprised because many people have accessed and more “like” than other articles so far. And some people seem to reach at the page with the keywords “Kitsune Udon”. So I thought I would introduce the recipe, too. Today’s article is about the recipe of Kitsune Udon. 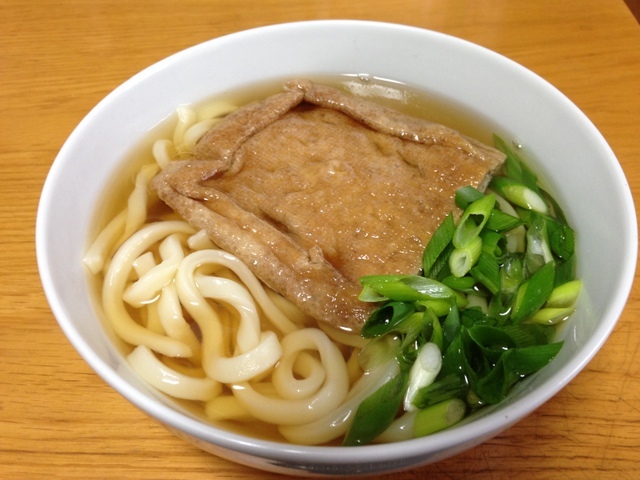 The feature of Kitsune Udon is simmered Aburaage which tastes a little sweet. It’s called Kitsune, too. Original meaning of Kitsune is fox. 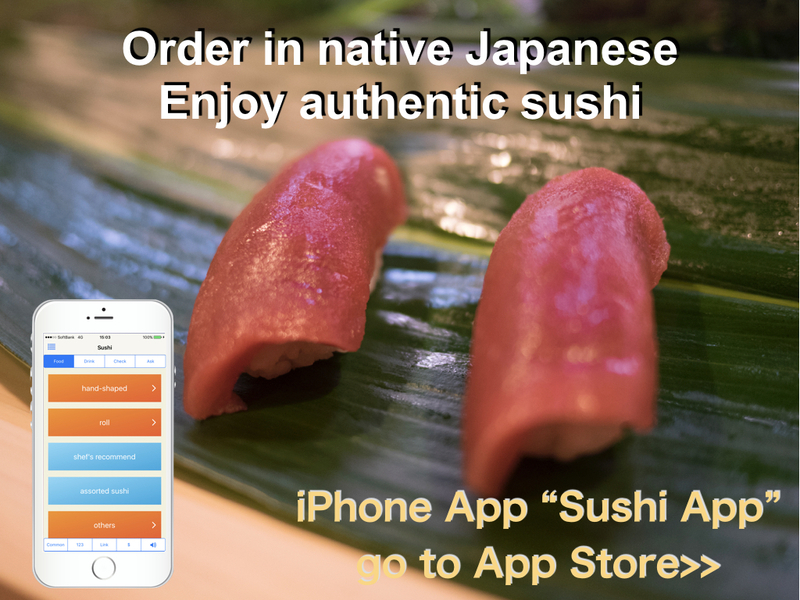 If you want to know why it’s called so, please refer previous article. I made Kansai (west of Japan) style soup at this time. 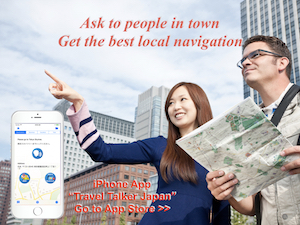 I am familiar with it because I grew up in Kansai area. 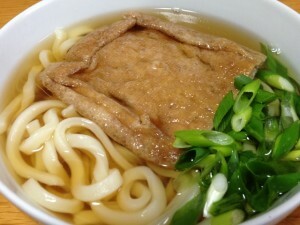 Also my recognition is that people in Kansai like Udon more than people in Kanto area (east of Japan). I’m living in Tokyo (in Kanto area) and can find many Soba shops here. Those Soba shops are usually serving Udon, too. But Udon shops are rare in Kanto. On the other hand, we can find many Udon shops in Kansai area. 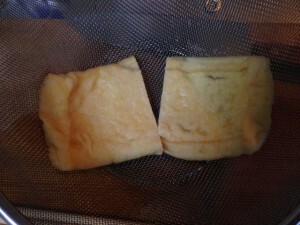 1) Cut Abraage in half. 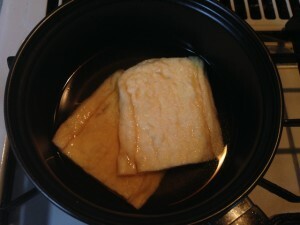 Boil Abraage in water for about 5 min. Then drain off the moisture. 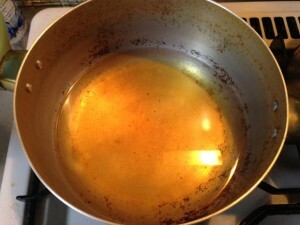 2) Add Dashi, Sugar, Soy Sauce and Mirin in a pot and boil. 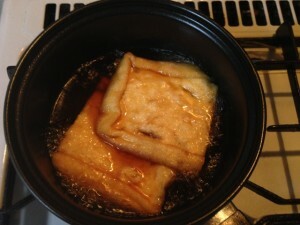 When it boiled, add Abraage in a pot and heat it on middle or small heat until the sauce becomes half amount. On the half way, taste it and add some sea salt if needed. Then stop heating and leave it for a while. 3) Making soup: Add all ingredients for soup in a pot and boil. Add some sea salt if needed. 5) Place Udon in a bowl and pour the soup. Add simmered Abraage and some chopped Green Onion on the top. 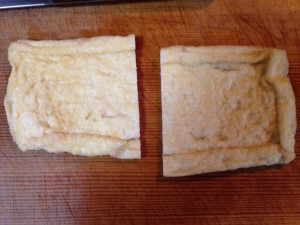 If you have Kamaboko (Steamed fish paste), it can be also a topping. I usually sprinkle some Shichimi spice (a Japanese spice) when eating. Kitsune Udon is one of popular and basic Udon menu. I think most Udon shops or Soba shops where are serving also Udon have this menu. It is usually cheaper one. If you have a chance to go to such shops, please try it. Kansai style soup for both Udon and Soba has light color like above photo. Kanto style soup has dark color. If you have visited both Kansai and Kanto area and tried Udon or Soba each of there, you noticed the difference. The biggest reason of that difference is type of Soy Sauce. In Kansai, Soy Sauce called Usukuchi Shoyu (light color) is used normally, and in Kanto area one called Koikuchi Shoyu is used. 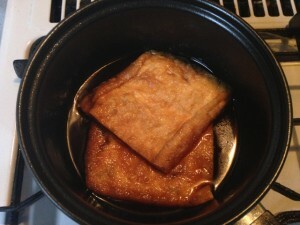 I also used Usukuchi Shoyu for this soup. If there is an opportunity, I would like to introduce these different type of Soy Sauce in the future.